So what have I been doing? Well, I’ve been spending time with my family (always a good thing), working (sometimes a good thing), and finishing something I should have finished a long time ago. Yes, I’m very pleased to say that it won’t be long, maybe only a few weeks, before the third and final part of The Transcendence Trilogy is published. It has taken much longer than I thought it would but I’m very proud of the finished article and how it pulls the full trilogy together. When I first set out on this journey I had no idea it would end up with me writing about the same group of characters four years later. There have been many ups and downs, but mostly ups, and I’ve had an awful lot of support from many people, more of which I’ll go into in a later post. Anyway, to celebrate its forthcoming release I thought I’d share with you something I’ve been keeping under wraps since January. What do you think? I love it and think it works really well with the other two books in the series but I’d love to hear your thoughts. I promise you won’t have to wait until November until I answer! If you are passing Suffolk at any point today, you may hear the odd scream of joy or bought of hysterical laughter. 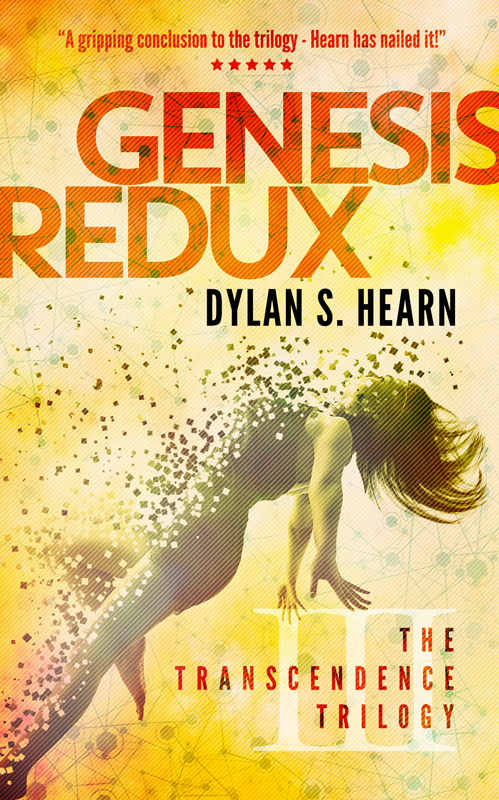 After what seems like years (but has only been three months), the first draft of Genesis Redux – The Transcendence Trilogy Part 3, is complete. I don’t know about you, but for me, writing a first draft us a little like taking exams or buying a house – it’s only once you’ve finished that you realise just how much stress you’ve been under. This has been especially true of Genesis Redux. With Second Chance I went into the process blind. The challenge was to write a book. The first draft was fun because I placed absolutely no expectations on myself. It was only after a number of people read it and told me it was good, that the pressure mounted to get it into a good enough shape to publish. Absent Souls was different again. This time I had some pressure because Second Chance had been so well received, but at the same time I felt comfortable with my writing process. Whereas Second Chance was a journey into the unknown, Absent Souls was a trip with old friends, the sort where you get to know each other at a far deeper level than before. By this point I had an idea where the series was going, but not necessarily how it got there, so I had the freedom to play around a little and see what happened. The good news is that so far fans of the series have loved the journey too. With Genesis Redux, however, there has been pressure from the start. It’s the final part in the series, and although each book can be read (and enjoyed) as a standalone novel, it was important that I brought all the major plot lines to a satisfactory conclusion. This has proven to be difficult. It has taken a while for me to find a way to reach an ending that stays true to the characters without feeling contrived. I’ve probably discarded more scenes in this first draft than I ever have before, because I knew I was putting plot before characterisation, forcing my characters to do things that didn’t come naturally. At the same time, I needed to have the draft finished by the end of this month for personal reasons, and only a few weeks back this looked unachievable. However, I’ve ended up with a completed first draft with which I’m mostly happy (which with first drafts, is a good space to be in). Of course, any of you who have written a book know that ‘completed’ as far as first drafts is concerned is a misnomer. There are so many things left to do. I have locations I need to change and expand upon, I have plot threads I need to backtrack into earlier parts of the novel and I have themes that emerged towards the end of the novel that need to be tweaked and highlighted in earlier scenes. I also have to follow character timelines to ensure they haven’t miraculously recovered from injuries which happened only moments – but a few chapters – earlier, or manic mood swings with no apparent cause. There are motivations to assess and monitor, behaviours too. And of course there is the all important pacing to consider. And after all that there’s polishing, lots and lots of polishing. Yet despite all this, editing is the process I love the best. While I enjoy the freedom of the first draft, I’m not the most creative person when faced with a blank page. I’m much better adapting something that already exists. I find I generate more ideas during the edit than I do while writing the first draft. The biggest challenge is to know which ones to include and which to ignore. I can’t wait to start the editing process, but for it to be effective waiting is what I’ll be doing. I’ve learnt through experience I need to leave my draft at least a month, preferably six weeks, so when I read it back it feels like reading another’s writing, and that’s when I edit the best. So in the mean time I get to work on something new. For the first time in nearly three years I get to think of something other than the Transcendence Trilogy universe. I’m quite looking forward to it. 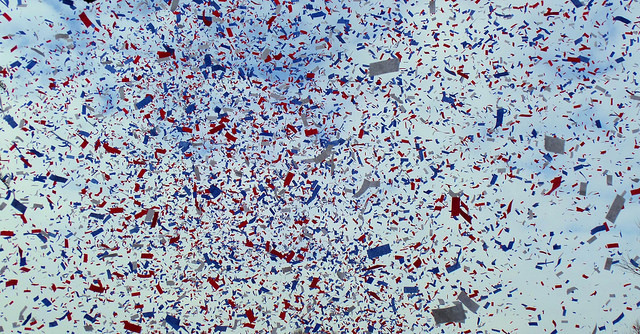 But before that, I’m going to celebrate. What about you? What’s your favourite part of the writing process? Are you like me and love the edit, or do you enjoy the freeform creativity of the first draft? Are you happy to leave a draft knowing there is work still left to be done, or do you have to correct all plot points before you’re ready to move on? I’d love to hear from you.